Summer houses are all the rage in the UK at the moment. When you consider the many benefits a summer house brings, it isn’t surprising that British homeowners are following their US cousins across the water by installing a timber summer house in the right garden location. 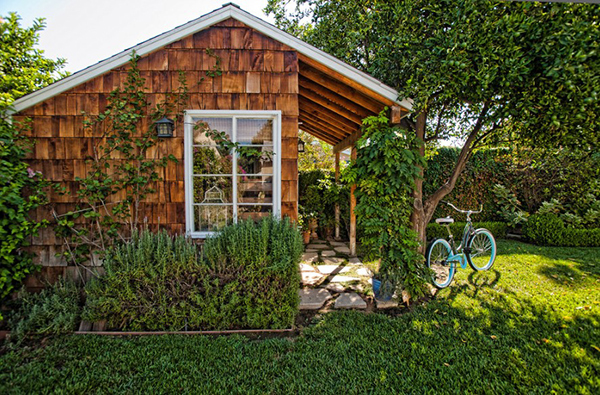 Like any dwelling, the decor is important even for these additional structures in the garden. With that in mind, here are some great decor ideas to enhance your new addition to the family home. 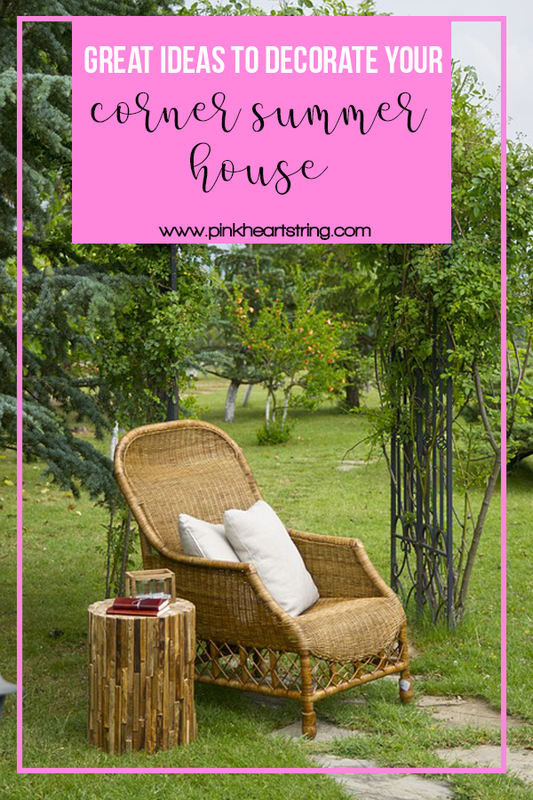 As every garden is unique, you need to spend some time considering exactly where to place the summer house, and for many homeowners, a corner summer house is ideal. This makes the best use of space and a corner unit would not require windows on every elevation, and would feature a front access design. The front elevation is, without doubt, the most prominent and you can adorn the terraced area with hanging baskets, which will add some much-needed color and depth, and these can be found at any garden center. This needs to be functional and also stylish, and with online suppliers, you can browse to your heart’s content. Rattan is a very popular garden furniture choice as it is very hardy and with the right fabric cushions, the chairs are very comfortable. Wrought iron is another favorite and with so many styles and designs, finding something that looks in keeping is not an issue. Composite materials offer the added advantage of zero maintenance and a high resistance to corrosion, and the choice of colors allows for a nice contrast to the actual shade of the summer house. If you are open to ideas, there is a useful guide to outdoor furniture, with some stunning examples. A corner unit would be more of a square shape, and therefore, the furniture needs to be of suitable size and form. One must resist the temptation to over-furnish the summer house, and you really do need more room than to swing a cat! LED solutions empower you to create the perfect lighting, and with stick-on LED strips, you can really create a Disney effect, which gives the summer house a homely feeling. You can buy some light sensors and the outside lighting will automatically illuminate when the natural lighting recedes to a set point. 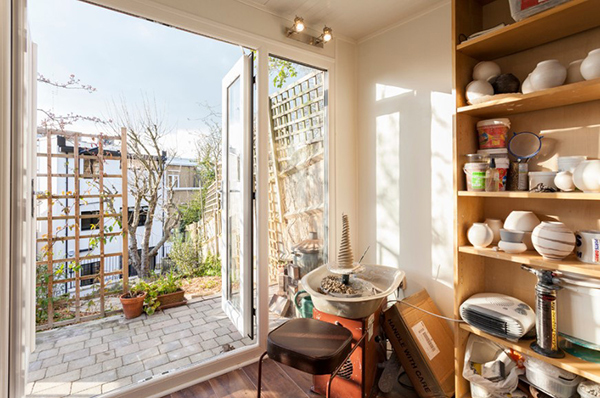 It is often the case where a corner unit is lacking in natural light, especially if there are walls on two of the sides, and you might want to fit a skylight, which will brighten up the interior a little. If you can find some timber window boxes that match the summer house timber, you can add some small flowers or shrubs and this will definitely make you feel more at home. Anyone with a little carpentry ability could knock together a couple of made to measure units and remember to add a waterproof liner, as you don’t want a wet floor whenever you water the flowers. If you want to enhance the exterior of your summer house, nature is the perfect resource, with dried Pampas grass and exotic hanging baskets, you can create a unique ambiance that makes the summer a place you really want to experience. Be liberal with color and the shade of the timber summer house is a base color that many contrasting shades can be added. While a corner unit makes good use of space, you are losing two sides, so you must focus your design efforts solely on the front (and perhaps one side), and with a concept in mind, start slowly and build the kind of look that you require.